Thanks to all for coming out to celebrate. Thanks to all our partners and sponsors. 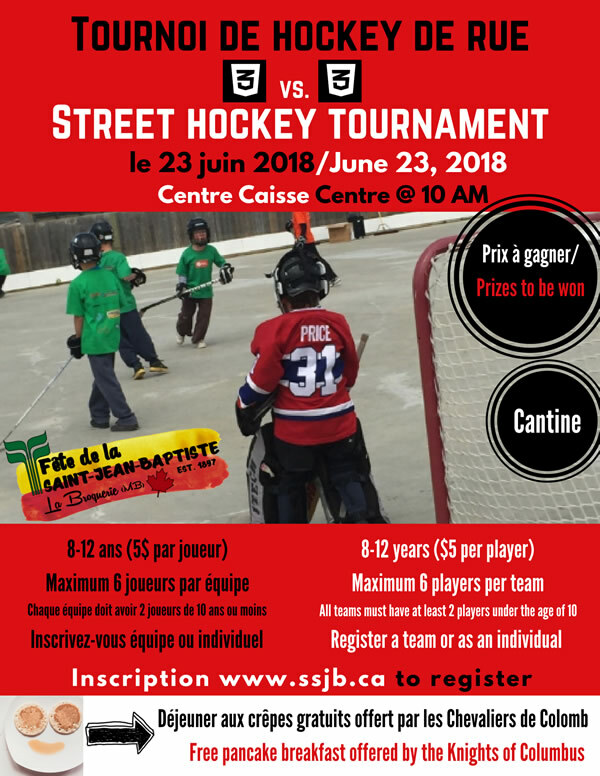 The Société Saint-Jean-Baptiste of La Broquerie Inc. was established in 1893 for the purpose of celebrating and spreading "joie de vivre" in our community. It was and remains an opportunity to celebrate French Canadian culture through music, various activities and, of course, food! 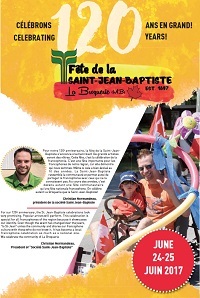 The first edition of la Fête de la Saint-Jean-Baptiste was celebrated in La Broquerie in 1897 with a special mass, games and a picnic all held on one day. According to our ancestors, the celebration was put on hold during World War I for a few years. The first Parade was held back in 1940 and still follows that same run to this day. 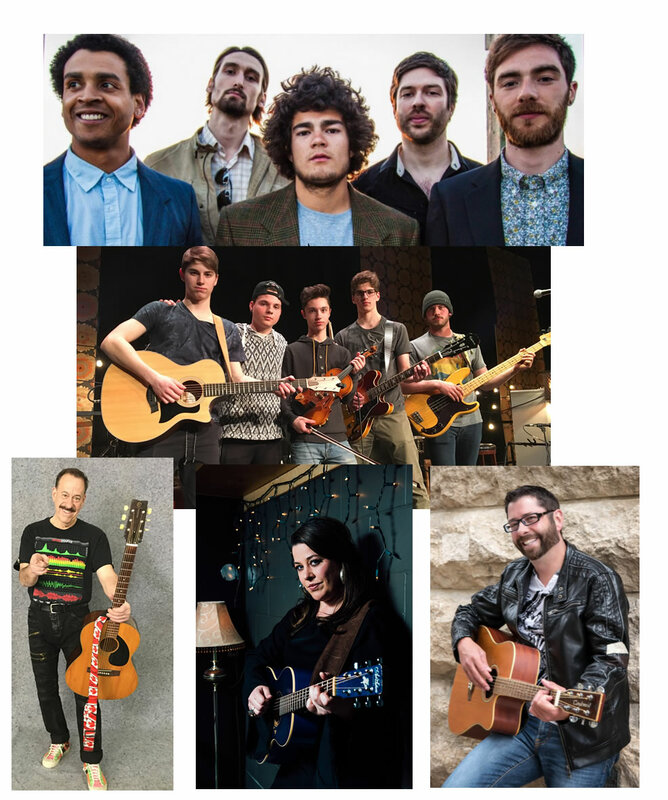 Through the years, the event has evolved from a family celebration into a community event that is held over the weekend to celebrate the French Canadian heritage with over 1 500 people in attendance. 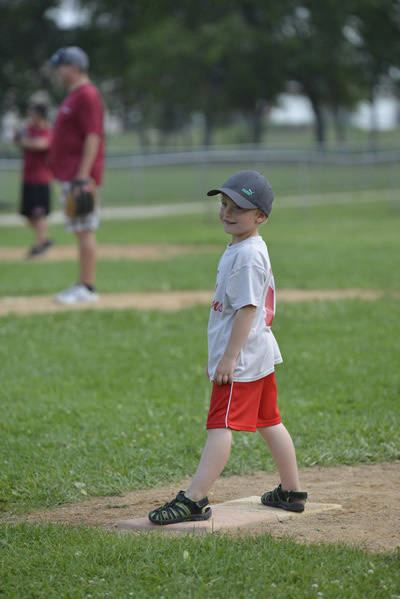 There is something for everyone, from kids' games, French cuisine to local artists. the history of 120 years of "La Saint-Jean" in La Broquerie! We are always in need of volunteers during the Fête, please contact Julie at gagnonjulie1@gmail.com to find out how you can help!